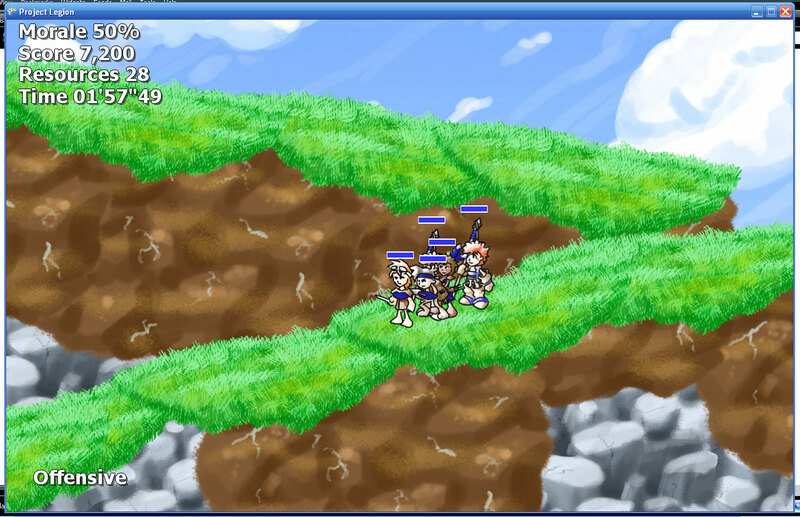 A (now canceled) programming project in XNA. While plodding along in the production of AetherFall , I’ve been working quite a bit using the game’s internal editor to start piecing together the levels. Instead of wasting my time cobbling an overly complicated GUI together for something the player will never see, I took the easy way out. Fore example, if I’m placing a bit of scenery and want to scale it, I hold down the S key on the keyboard and scroll up on the mouse scrollwheel. In the editor, the scroll wheel does the lion’s share of everything that isn’t simple dragging and dropping. Only, for some reason, things wouldn’t always work how I wanted them. Continuing on with the scaling example, whenever I’d scroll up it would make scenery smaller instead of larger. “Oh,” I thought to myself, “I put ++ where I wanted –.” (In the C, C++, and C# programming languages these increase and decrease a value by one increment respectively.) So I switched them around and went on my way. Still, I seemed to be making this mistake an awful lot whenever I added new features to the editor. Every time I’d hold the key to alter something, scrolling up would decrease the value while scrolling down would increase it. “Oh bother, I’ve done it again.” And so I would go to fix it each time. But even for me, I seemed to be slipping up an awful lot. Surprisingly, it wasn’t as hard as I was dreading it would be, either. Granted, I still have some things to test/debug/clean-up, but the hardest part was simply working out how everything should flow. 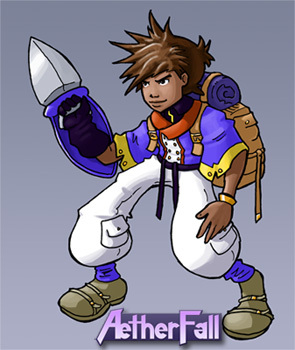 This is Dante, the character you will be playing as in AetherFall. He is a star gazer that studies the night sky along with the many sages and scholars that live in a small community on the far side of Laurooga. His adventure begins when he is sent across the continent to deliver a message. You control him directly in the field as the other units under your command tag along. Dante can fight to some degree using his knife and baton, but his power and hit points are low, so you want to keep him out of trouble as much as possible. Inked with pigma micron markers on 12f animation paper. Colored in Photoshop. If there’s one enemy you don’t want to have, it’s the Kingdom of Venn and their mercenary skirmishers. Lucky for you, these elite troops only fight for their allies, and it just so happens that Dante is one of them. These guys are much stronger and swifter than the simple militia units, and they can take a real beating without giving up ground to the enemy. But that power comes at a price: they’re far more expensive to call up. Skirmishers will be a solid mainstay of your forces throughout the game. Inked on 12f animation paper with pigma microns and colored in Photoshop. 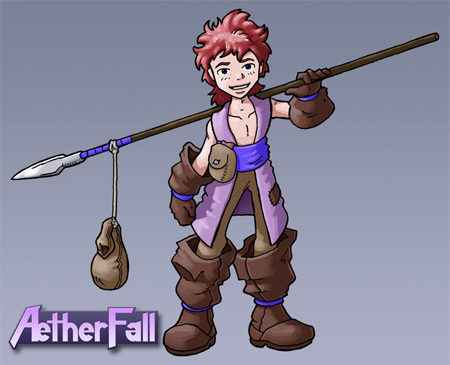 Project Legion has finally gotten a proper name: AetherFall . The first bits of promotional art are also coming together, the first being the militia unit you may have seen in today’s Sketchbook Monday feature. These militia are cheap to produce and don’t pack much of a punch compared to their stronger allies, but their spears allow them to attack from a distance, shielded by their tougher companions. Consisting primarily of farmers and laborers, these little guys have put everything they have on the line and are relying on you to protect their homes and villages by securing victory in the campaigns ahead. Don’t let them down! I actually ended up doing the line art for this little dude twice. The first time I did it in pencil like the in-game graphics–but after scanning it I realized that the line quality just wasn’t consistent enough for use outside of the game (web site, print, advertising, etc). In the end, I went back to my good old Pigma Microns. They don’t “flow” as well on paper as a pencil, unfortunantly, but they do give me a solid, dependable line. Well, most of the time anyway. 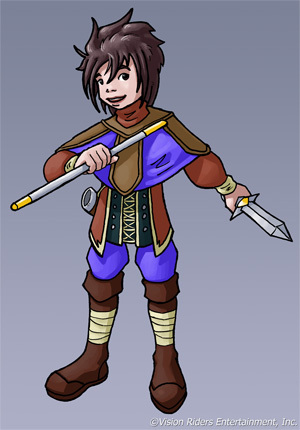 Inked on 12f animation paper and colored in Photoshop.